The statistic presents the distribution of United Kingdom film exports in the years from 2012 to 2016, by region. 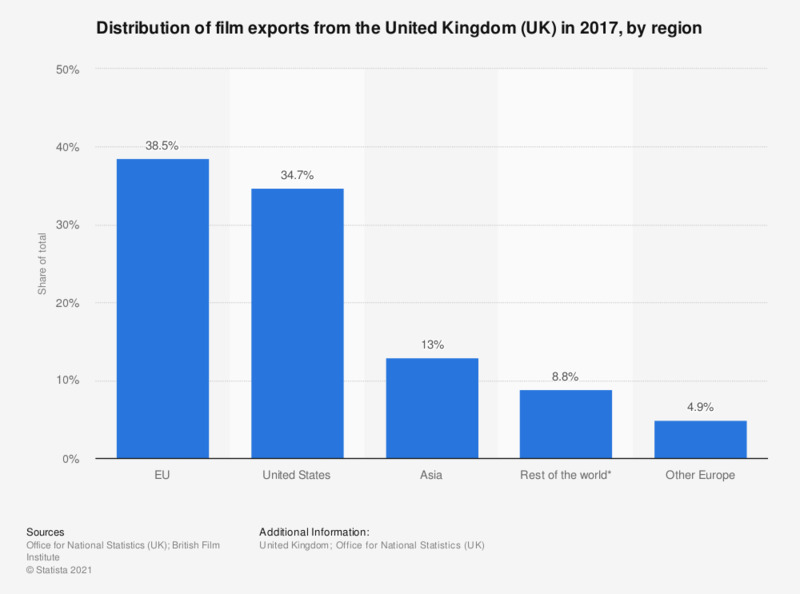 Exports to the United States accounted for 42.2 percent of all UK film exports. * ‘Rest of the world’ cannot be disaggregated due to sampling variation and disclosive data.